An original oil on canvas by British female artist Amy Constance Reeve Fowlkes who exhibited throughout her career. 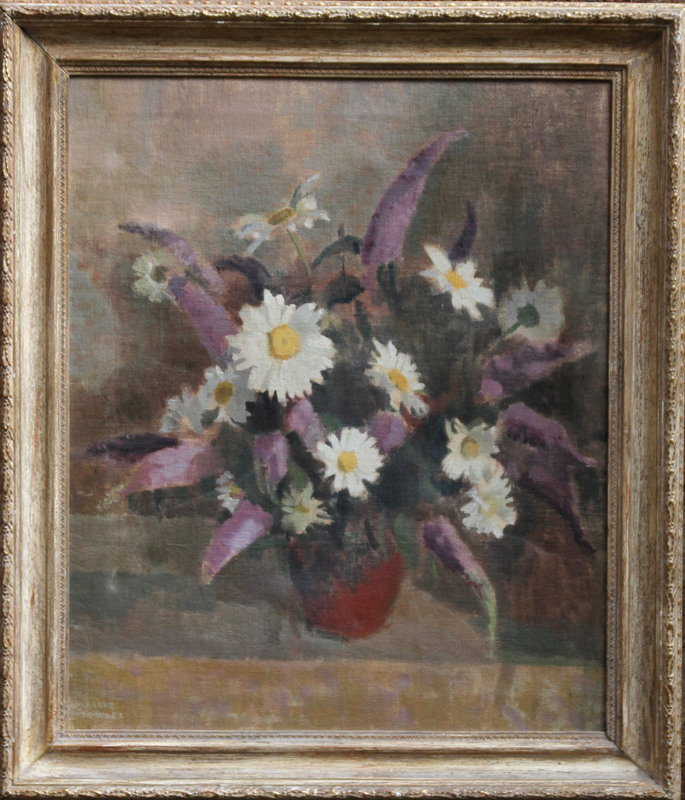 This stunning oil is a bold arrangement of daisies in an Impressionist palette. This is an expressive delight. Painted in 1940 and in good condition. A very colourful and vibrant painting. Signed left. Provenance. Aitken Dott - The Scottish Galleries - Edinburgh. Housed in a gallery frame 30 inches by 26 iches. In excellent condition. Amy Reeve Fowlkes (1881-1968) was born in Bournemouth, Hampshire, where she studied at the School of Art. She married the Artist Arthur Reeve-Fowkes. She Exhibited at The Royal Academy, RBA, RI and widely in the Provinces, The Tower Art Gallery, Bolton Museum & Art Gallery, Russell-Cotes Art Gallery & Museum in Bournemouth hold examples of her work, which was widely reproduced. 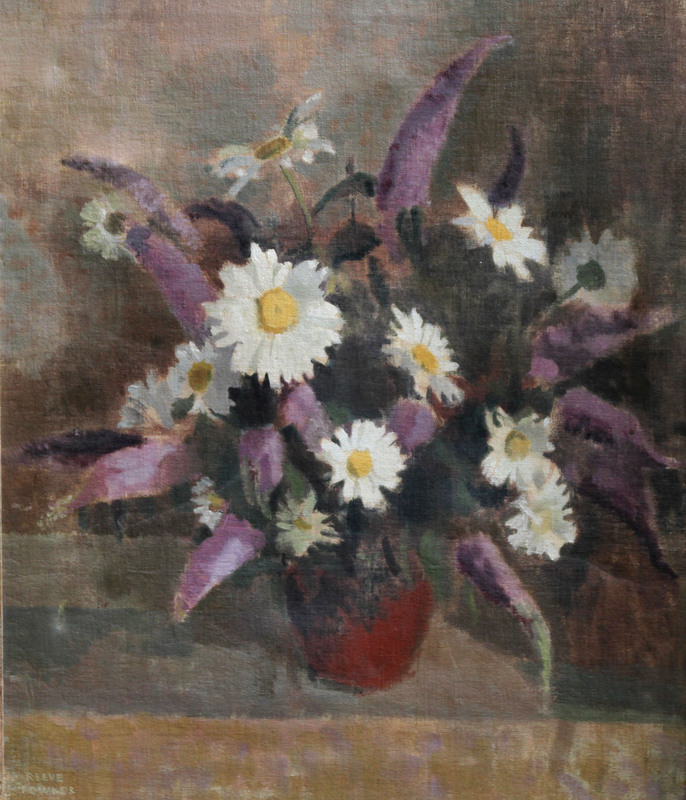 Exhibited between 1929-1940 Royal Academy 5 works. Royal Society - British Artists 5 works. Royal Cambrian Academy 1. Royal Institute 18 . Society of Women Artists 6. Walker Gallery, London 70. Arlington Gallery 4. Fine Art Society 3.